Hello all! I'm working on another Transformers audio adaptation from the IDW comics. 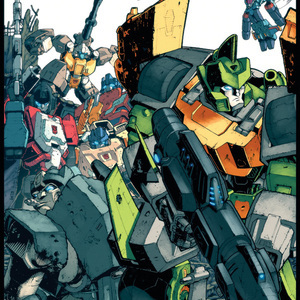 This time I'll be tackling the Last Stand of the Wreckers story, a 5 issue miniseries, originally written by James Roberts and Nick Roche. For those who are unfamiliar with the series it follows the Wreckers who are on a mission to take back Garrus-9, a prison that has been taken over by Overlord for three years who has spent all that time torturing and hunting down Autobots for sport. Not only do they have to rescue the Autobot prisoners, but they have to find Aequitas, a supercomputer capable of detecting guilt, before the Decepticons can get their hands on it. However, not everyone will make it out of this alive. -No filters/robotic effects. I want to hear what YOU sound like. -Unless stated in the character descriptions, no impersonations of any past incarnations of the characters. Feel free to do your own take and have fun with it. -Be reliable and available. This project will last for 5 episodes, but I need you to be able to stick with me until the end. I don't want to have anybody disappearing on me so try to be available. 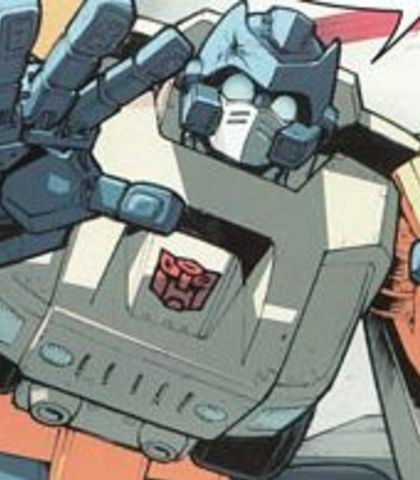 Plus, if your character appears in the More Than Meets The Eye series later down the road, I would like you to reprise your role of whoever you are cast as. -Have a good quality recording. You don’t have to have a professional microphone, but I would like to have a consistent quality all around. And that should be it. Have fun auditioning, and if you have any questions don’t hesitate to ask! A Decepticon Predator who shares Fearswoop’s opinions on doing all the work by hunting down Autobots while Overlord does nothing. He has a minor role in this series. "Hunting party,” my airbrake. There’s no sport to this. 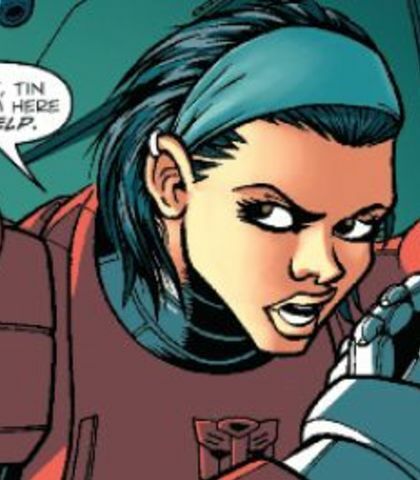 One of the main human characters in the IDW universe. Something had caused her pain in her childhood and because of this she refuses to form a bond with anyone out of fear of getting hurt again. She tries to act tough, but when she gets scared she tends to hide that fear and can take it out on others without meaning to. Sometime after the Decepticons attacked Earth, Verity joined Ultra Magnus on a voyage into outer space and has been working with the Wreckers for a year. Despite her fear of being abandoned, she does care for her friends and even grows close to the Autobots, most notably Ironfist. She can be snarky, sarcastic and seems to get along with the Wreckers. A major character. Wow! You’re like the mom I never had… I’ve actually been a valuable member of Maggie’s crew for the last year. Wait. Wait. I’m sorry. That was a totally damaged thing to say. I’m scared, okay? And when I get scared, I mouth off. 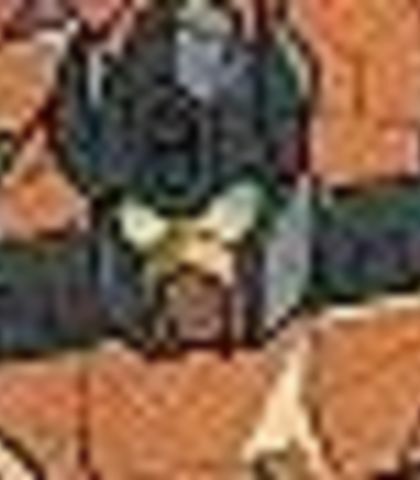 Back there, when I said it didn’t matter what Impactor did? I was lying. Spill the beans. An old veteran and a member of the Wreckers. He’s the oldest member of the team and has seen his fair share of battles. However, this old war bot still has some fight left in him and will put all his effort into winning the war. He has a close relationship with Springer and will often console him when he knows something is bothering him. Because of his stubbornness, he’s willing to go on any mission for the Autobot cause no matter how dangerous it may be. A major character. Oh well… looks like you brought us up here just to watch the show. Don’t haveta tell me, kid. Hurts harder when they fall followin’ orders you gave ‘em. He’s weighin’ heavy on ya, ain’t he? And that, my lad, is how it’s done—old school style. One of the new recruits joining the Wreckers. A selfless Autobot who is willing to fight on the front lines to protect the innocent. However, he is obsessed with Optimus Prime and idolizes his hero a little too much. He is also terrified of the thought of dying anywhere else other than fighting alongside Optimus Prime in an epic battle facing impossible odds. 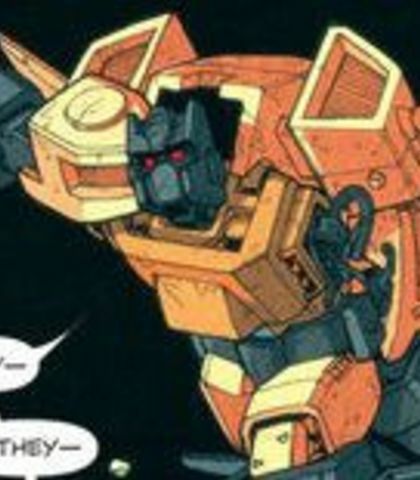 Despite this, he does try to do the right thing and gets along with the other Wreckers. A major character. By the sacred spires! A human! Optimus Prime’s data was right! They’re so delicate and in need of our protection. I’m supposed to go out in a blaze of glory, sacrificing myself to save a… a planet’s worth of innocents! Yeah! The grand finale to a life well-lived. This is too difficult, Ironfist. I can’t fight as a Wrecker without a motto. 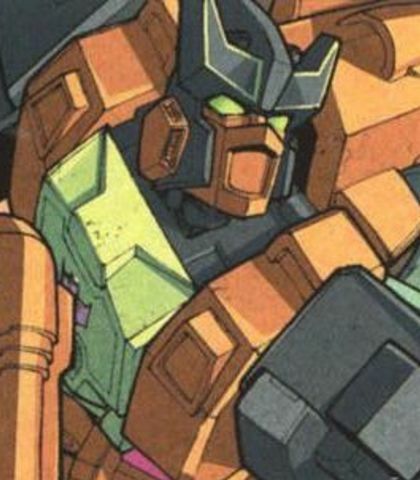 A member of the Wreckers and Twin Twist’s brother. 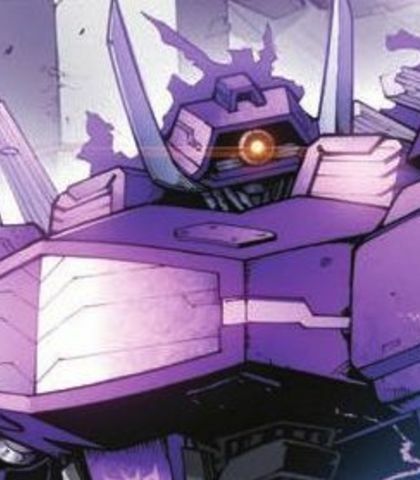 He loves a challenge, but sometimes would prefer if it came out of nature itself instead of fighting Decepticons and would much rather map out landscapes instead of going into the battlefield. Though, because of the fact that he and his brother have a branched spark he has no choice but to go with him and keep them both alive. Still, he's willing to do his part in the team and save lives. A major character. Wish we could give you a scoop, “Fisitron,” but the only thing that sets us apart from the rest is a knack for saving each other’s skin. Yeah, and as of last count, I’m ahead by six saves. This isn’t roleplay. People die in stupid, pointless ways. Deal with it. Hey, I was happy being a cartographer. But you try mapping contours when your other half is off saving planets and hunting down Squadron X. A member of the Wreckers. 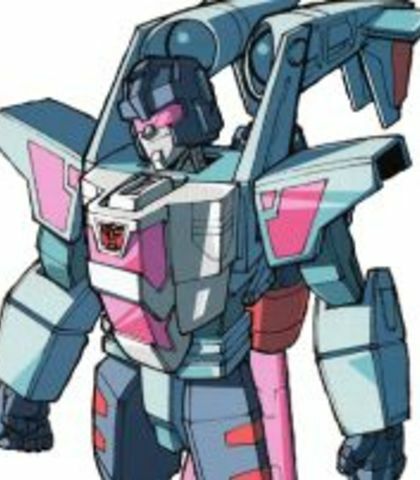 Unlike his brother, Topspin, he loves violence and fighting and is more than willing to sink his drills into any Decepticon he comes across. He’s a great warrior, but because of his reckless behavior his brother is around to keep him from getting into too much trouble, or both of them dead. He can enjoy spending time with his teammates and even takes a liking to the new recruits. A major character. 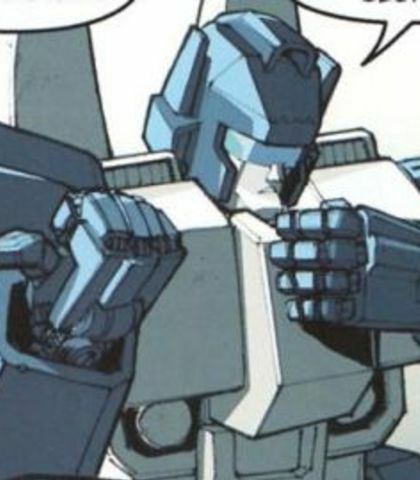 (Jokingly) Hear that, Topspin? We’re officially classified! Easy, boss. They’re okay. Well, Topspin is. Face it… we’re the ones that need help. Springer! We’ve triggered some sort of defense mechanism—we’re gonna get vaporized! A Phase Sixer who is one of the most deadly Decepticon warriors. 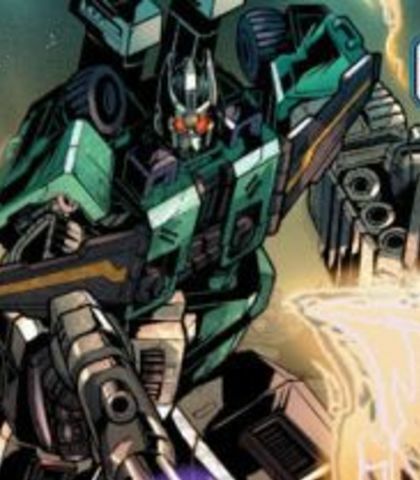 Feared by all, even the Decepticons, his destructive abilities makes him a force to be reckoned with. Has a minor role in this series. You sure you want me out there doing what I do, how I do it? It’s just, when I’m done… they’ll know it! One of the new recruits of the Wreckers and is skilled at what he does. He’s an excellent flier as well as a great combatant in the battlefield, and he’ll happily tell you about it. Despite his high-caliber for the job he’s also a narcissist, is very cocky, and loves letting everyone know how amazing he is. However, all of his bravado is simply a mask that he hides behind in order to inspire others, but if the Simanzi Massacre is mentioned, his jokes will stop. A major character. I wish I’d been there to see Springer’s face when Impactor showed up. But then I do love a tense atmosphere. This is your daredevil pilot speaking. Hold onto your sparks, 'cause we're about to encounter a little turbulence! (Cocky) Me again, old man. Remote control. And yes, I am that good. A Decepticon soldier under Overlord’s rule. He’s one of his more reliable soldiers and enjoys torturing Autobots in the spark extraction chamber whenever he gets the chance. A supporting character. That’s funny, Autobot… I was just asking myself the same thing. Overlord! I’m getting reports of Wreckers in cell block F! A Decepticon who was under Overlord’s command during the takeover of Garrus-9, but has unfortunately been chosen to fight in gladiatorial combat for his commander’s amusement. Has a minor role in this series. (Scared) Please, Kick-Off… you’re an Autobot! One of Megatron’s Phase Sixer's and, like Sixshot, a deadly warrior. 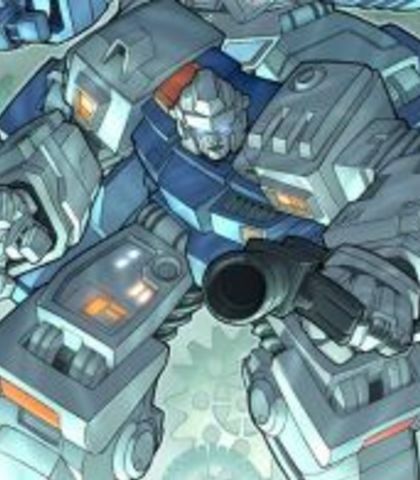 He has slaughtered dozens of Autobots in the past and is one of Megatron’s best warriors. Has a minor role in this series. (Injured) Just... get it over with. A Decepticon known for his cruel nature and overall hatred of many things. He leads his team of Decepticons to attack Garrus-9 as per Megatron’s orders and will do everything in his name for a glorious future that involves only the Decepticons. Has a minor role in this series. Decepticon victory lies within our grasp! Slit this prison’s belly open, and we will be rewarded by Megatron! (Nervous, after being asked who’s in charge) I am, uh, Overlord. Predator General Skyquake, sir! We resume the assault as per Megatron’s orders. An Autobot who’s in charge of a reconstruction project before the newest additions to the Wreckers accidentally destroy it during a game. He seems to be in a foul mood and hates trigger-happy soldiers. Has a minor role in this series. (Angry) Look what you’ve done! Well, your target practice has set our reconstruction project back by months, you trigger-giddy morons! An Autobot who is forced into being part of the Decepticons’ hunting games by being the prey. He tries his best to fight back his oppressors, but they seem to have the upper hand. Has a minor role in this series. 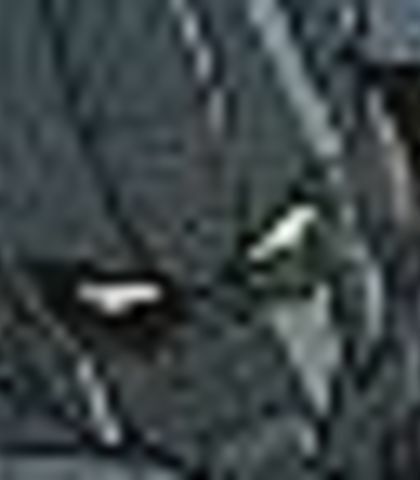 How about your face, Decepticon?! A Decepticon under Overlord’s command who enjoys hunting down and killing Autobots at any chance he gets. Has a minor role in this series. Now, where do we start, Wingblazer? The cold and emotionless schemer of the Decepticons. 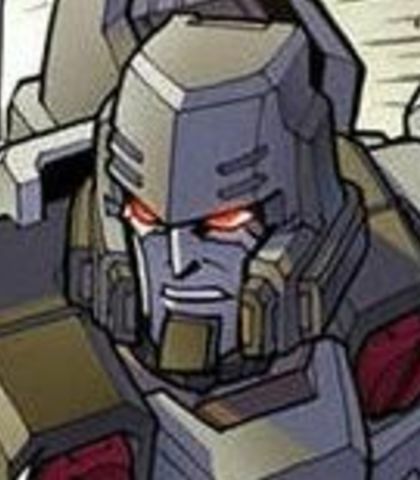 Nobody really knows what he’s thinking and he likes to keep it that way as he has goals of his own, unbeknownst to Megatron. He decides to aid Overlord in the removal of Megatron’s control over him, though he’s aware of his real intentions of taking control of Garrus-9. Has a minor role in this series. And when I’ve gone—what then for you, Overlord? More terror experiments in this bubble you’ve built for yourself? I shall remove this “blind spot,” Overlord. After all, your goals further mine. You think you're enjoying this, but you're not. An Autobot who has spent some time in Decepticon prisons learning the layout, but has also been forced to harm his fellow Autobots. Because of this, he prefers to work alone, but is still a dependable fighter. He was one of the soldiers who was assigned to guard Garrus-9 from being taken over by the Decepticons and has since become a prisoner there, forcing to fight in arena matches. Has a minor role in this series. Reports say that every Autobot outpost across the galaxy is falling to the Decepticons. You know what that means in this place, Borehole? Nothing. Random Decepticons and Autobots throughout the story. They may have a line or two or serve as background characters. Anyone can try out for these. If your recording quality is good and I like your voice you will most likely get a role. (Nervous) Slag it, slag it. 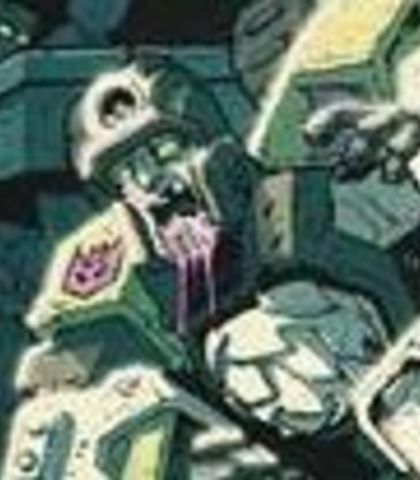 A veteran member of the Wreckers. 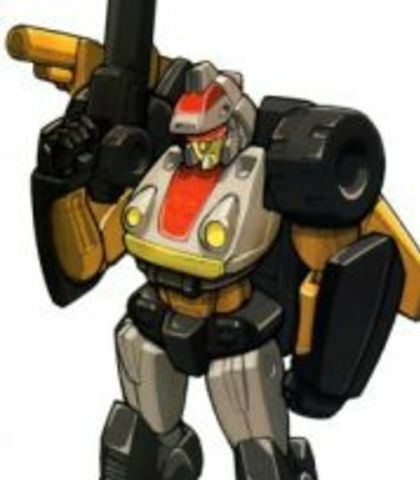 Charismatic and very powerful, he will do his part to help the Wreckers in their constant battles against the Decepticons. He can be very heroic, but also very quiet. He has a minor role in this series. We’re making Squadron X comfortable. Inhibitor harnesses all round, just to be on the safe side. You just need to learn to accept change, Impactor. After all, we're Cybertronians. It's what we do. 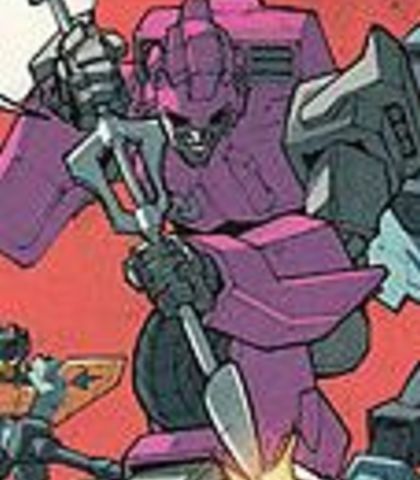 A member of the Wreckers. 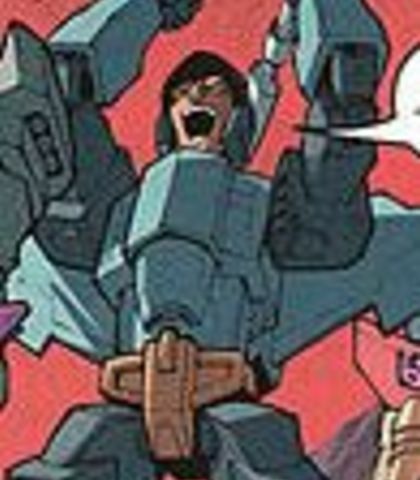 He was present during their battle on Pova against a Decepticon group known as Squadron X. He has a minor role in this series. As the name explains, the narrator. A voice is mostly heard stating the name of a location a character is at or how many years ago an event took place, in order to keep to the audiobook style. The narrator is genderless so either a male or a female can try out for the role. 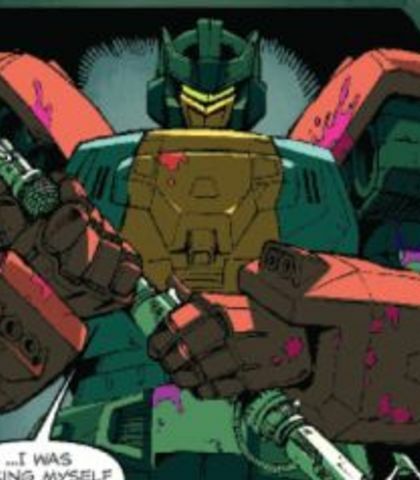 Known as a scientist and one of the smartest Autobots around. 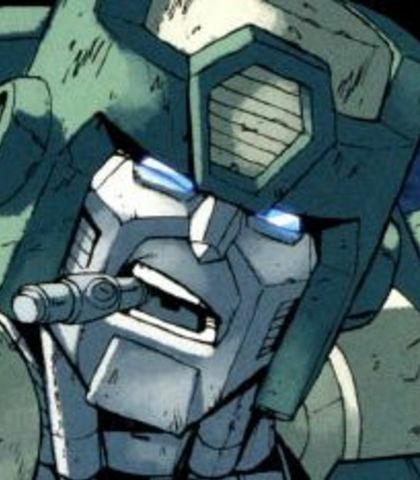 He’s been known to have an immense amount of knowledge and often times will speak complicated and scientific terminology which has annoyed many of the Autobots in the past. 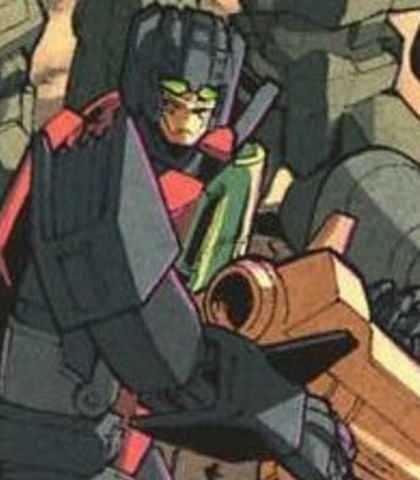 After an accident involving a mission with the Wreckers in the past, he decided to put his efforts into fighting alongside them instead of just tinkering with machines so he built a scope in his eye in order to use his sniper gun in combat. A major character. Sorry. Out of practice. And by the way… there’s something in your head. As I thought. These walls are vibrating at a frequency that puts them out of sync with their surroundings. Renders them virtually impenetrable. Hold my legs, Topspin… I feel the urge to shoot someone. A Decepticon who was originally a prisoner in Garrus-9, but since his breakout by Overlord he is now hunting Autobots as per his orders and shows enthusiasm when doing so. Has a minor role in this series. (Excited) Oh yeah! We are not to be messed with! One of the newest recruits to the Wreckers. After a few of his friends died on a rescue mission, he’s had a hard time moving on. Eventually, he decided to join the Wreckers after being approached by Springer and being told that Kup would be on the team. He’s a warrior at heart and absolutely loves fighting whenever he gets the chance. He would much rather shoot down Decepticons instead of waiting on the sidelines. A major character. (Jokingly) Heh… I reckon being near his heroes was too much for old “Fisitron” here! (Impatient) This journey’s taking ages. It’s making me twitchy. When am I gonna get my servos dirty? Ha-ha! Look! Their heads blow up! Every. Single. Time. For this cerebro-centric ammo, Ironfist, we are truly grateful. The leader of the Decepticons. 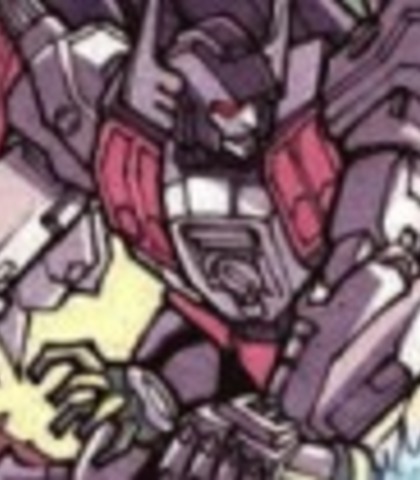 Originally a miner from Tarn, he rose up against a corrupt senate for the freedom of all Cybertronians, though his conflict eventually led to the war between the Autobots that lasted 4 million years which tore Cybertron apart. He continues to conquer planets and lead the Decepticons into battles. Has a minor role in this series. You can either stick close to Frank Welker's portrayal of him or you can try your own take. Not anymore, Overlord. You’ve just fought your last campaign. Bigger and better things await. Option 1… you do as I say. Option 2… you don’t. Oh, and with option 2 I hunt you down and tear you limb from limb. A Decepticon who was broken out of Garrus-9 and is now under Overlord’s command. He’s one of the few who doesn’t like the idea of working so hard to hunt for Autobots while Overlord sits and watches everything. Has a minor role in this series. I know. And we’re doing all the tracking. Instead of watching it all, why doesn’t he get stuck in? One of the newest additions to the Wreckers and a weapons expert. 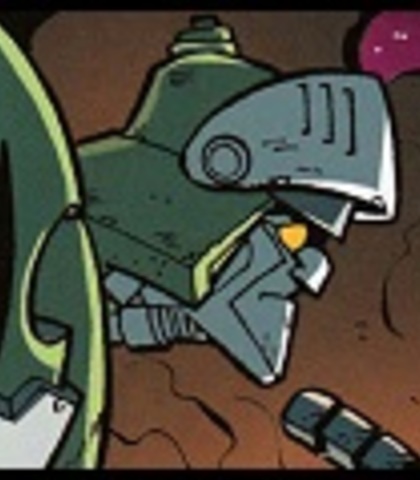 He’s spent most of his time in his workshop on Kimia, building weapons that could help the Autobots win the war and some have even been considered dangerous. About 18 months ago, he had a lab accident that caused a prototype cerebro-sensitive bullet to become embedded into his skull and it has slowly been edging its way towards his brain. He knows his days are numbered and took the opportunity to join the Wreckers when given the chance by Prowl. 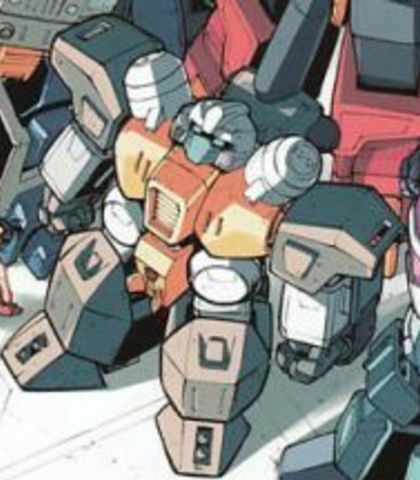 He’s also known as "Fisitron," an alias he uses when writing datalogs titled ‘Wreckers: Declassified’ detailing everything about the Wreckers and all the adventures they've been on. He's also a bit of a fanboy when it comes to his heroes. A major character. 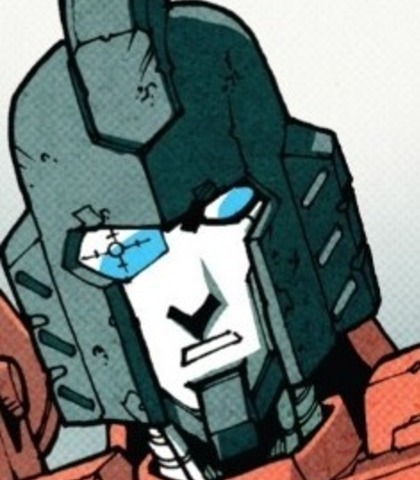 So the history of the Wreckers is my thing—so what? Nothing else to do on Kimia, why not have a hobby? You can’t beat “Wreck ‘n’ rule.” Pure poetry. This isn’t what being a Wrecker’s about. Saving lives, yes. Dramatic rescues, yes. And having adventures! What’s wrong with just having adventures? But that? Back there? With the laughing and the gun and all the… all the viscera? That was not part of the deal. 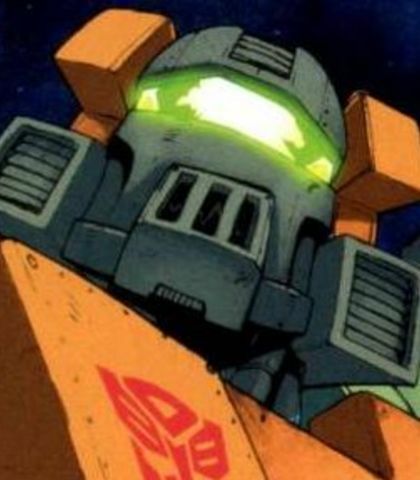 The original, former leader of the elite Autobot team known as the Wreckers. He is a force to be reckoned with and is always ready for a fight. He can be reckless and ruthless as is shown in battle, however his attitude has gotten him into trouble in the past. Impactor likes to throw punches first and ask questions later and doesn’t always realize that his actions can have consequences. He’s been in prison a number of times and has been known to kill his opponents in cold blood despite him thinking that it’s for the greater good. A major character. Whoa there, soldier. You’re talking tactics and I’m dismissed? Since when did I start taking orders from you? Autobot? I’m a Wrecker, Snare. First and always. A Decepticon who was previously under the command of Skyquake, but since Overlord took charge he’s had misgivings. 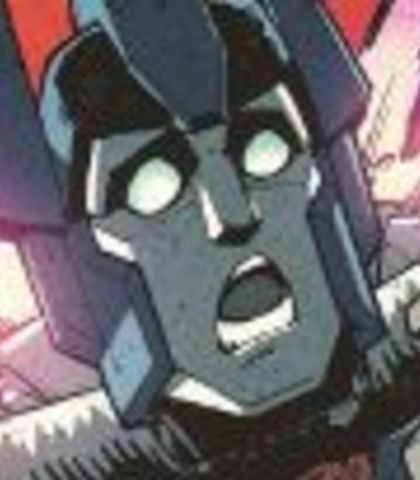 He’s become afraid of what Overlord can do and has witnessed the Decepticons kill Autobots for sport and Overlord kill Decepticons who slack off. 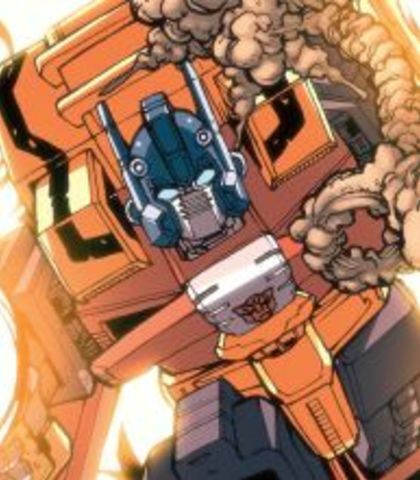 Having enough of it, he frees Impactor so that he can bring back help and stop Overlord. A supporting character. Please, lower the guns. I’m here to talk—which is why you two aren’t smouldering from the neck up. Because I’m as much a prisoner here as you. 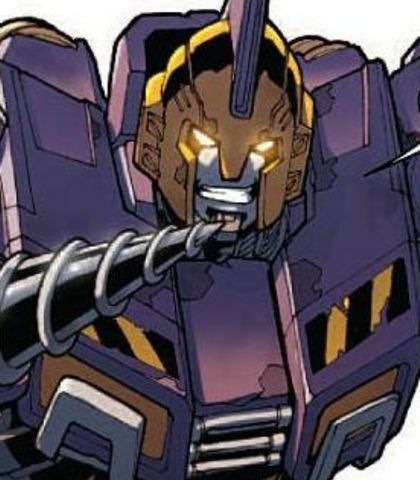 I'm scared of him, Impactor. We all are. But you... you've got what it takes to make it out of here and bring back help. Wait! If I’m still alive by the end of this sentence, you have to listen to me… deal?